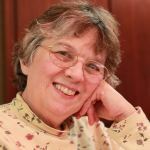 This week, I came across a thought-provoking blog by Laura Resnick, who has interesting things to say about writing and the writing life. Her latest piece is a poignant, funny, and head-shaking account of the ups and downs she’s had over the years as a writer. Since the link’s mentioned below, there’s no point in repeating it, but her post made me reflect on my own ups and downs. Don’t get me wrong, I’m happy where I am, as my fifth mystery (3rd in the Casey Holland series) will be released this fall by a traditional publisher, and for this I’m very grateful. But there were times before I found TouchWood Editions that I really wondered if I’d propped my ladder against the wrong tree. I’ve said it before and it still holds true: I’m not a prolific writer. My first two books took over ten years (overlapping) and twelve drafts each to polish enough to submit, and even then editors found necessary changes to make. Since I’ve had the opportunity to write full time over the past three years, I’ve learned to cut the number of drafts in half. With the very first book, Taxed to Death, I acquired a Canadian agent and, being a loyal person by nature, stayed with her five years before I realized she wasn’t going to sell the book. She did, however, give me valuable editing tips and advised me to read lots of mysteries, which I still do. I continued submitting the book and eventually found a publisher who liked it, however, he wanted to try a new “publishing model” where the authors kicks in a couple thousand bucks to help with production costs. This was before the days of AuthorHouse and iUniverse, but I guess you could say he was one of the pioneers. I went on to self-publish the book, which was a great, albeit expensive, learning experience. Later, I acquired a second agent, this one American, who also happened to be a writer, for another mystery, which later transformed into The Opposite of Dark. She was a nice person, who actually submitted the book to big publishers. I have a copy of their cordial rejection letters. After two years, we parted company, again amicably. I don’t think either woman is in the agenting biz anymore. Shortly afterward, I found a new, small American press who offered me a three-book deal, but closed shop before we even went into production. Still, I kept trying, and finally found TouchWood. My experiences are short and amicable compared to what Laura, and I expect many others, have endured. A writer will always have ups and downs, but after 30+ years, I’m still here, still enjoying the process of putting ideas on paper. I’ve learned how to write and complete novels, how to publish books, and how this somewhat dysfunctional business works. I’m still trying to figure out how to make money at it, but if I hang around long enough, I’ll get there. And that’s the point of this and Laura’s blog: writers who hang in there are survivors. Although there are no guarantees of fame and fortune, there is work, and hope, and luck, and probably some level of talent. You keep mixing and experimenting, and maybe one day you’ll get to where you want to be. Staying power and the pursuit of a dream are probably key to any successful career. I wish you luck with yours. I’m sure that most of you have heard the recent headlines about the revelation that Robert Galbraith, author of a mystery called The Cuckoo’s Calling, is actually J.K. Rowling. Reports say that the book sold about 1,500 print copies and another 800 ebooks) however, now that the truth is out, sales have skyrocketed and the publisher, Little Brown, is doing a 300,000 copy print run. There was widespread speculation that the unspectacular sales prompted either Rowling and/or her publisher to reveal the truth, but according to an article in The Huffington Post, this is not the case. It seems that one of the partners in the law firm representing Rowling told his wife’s best friend. The best friend then apparently posted the news on Twitter, and thus the trouble began. I use the word trouble because the issues this situation raises are indeed troubling. First, when a client pays a lawyer big bucks to keep things private, they should bloody well be kept private. Second, why did people assume that a very rich author would feel compelled to boost sales in the first place? Where was the trust that maybe Rowling took the high road, and was outed by others? Although I haven’t read reviews of the book, reports indicate that they were favorable. Yet, if Robert Galbraith was a real person, he wouldn’t be earning enough royalties to live on, and this is also troubling. Rowling’s fame has catapulted sales, but what does it say about the plight of unknown authors, despite great reviews in respected publications? (See my earlier blog on the dismal sales of Pulitzer prize winners). Have readers lost so much trust in unknown authors that the majority will be doomed to the remainder bin before they’re recognized? But there’s another trust issue at play, addressed in an insightful blog by Kristine Kathryn Rusch. Rusch has a lot to say about the Rowling incident, but she’s particularly struck by the way traditional publishers are blaming Rowling for the novel’s slow sales. They said this would have been an instant success if she’d used her real name, if she’d written a “bigger” book, ie. an action-packed thriller instead of the “quiet” mystery she wrote. In other words, it was Rowling’s own fault for not writing a blockbuster because, as Rusch points out, that’s all most of the big publishers are interested in these days. And here’s where the trust issue comes up again. Rusch states that traditional publishing has become a blame-the-writer game. If sales are poor, it’s the writer’s fault, if the author asks for a full accounting of royalties, the writer shouldn’t have asked, and heaven forbid if they’re fighting for a better contract. My answer is a resounding "yes". I joined Google+ before it opened to the public, thanks to a friend who sent me an invitation. I liked it from the start, and I like it even more, now. The thing I like best, and have found most useful (since this is a post about utility, not just enjoyability) are Communities. If you aren't on G+ yet, or if you've just registered, you may not know what Communities are. They're like Groups on Facebook or like clubs in real life. Someone sets up a Community based on, say, Schnauzers or Crafts for Kids. They can invite people to join the Community. People who join can invite other people to join. People can search within G+ for Schnauzers or Crafts or Kids and find the Community that way. There are too many Communities for Writers to join them all! My two favorites are Readers Meet Authors and Bloggers, and Literary Agents Hate Kittens. I've met some wonderful authors, bloggers, and just folks in both of those Communities. I've made promotional connections, made connections through those connections, drawn readers to my blog and my books and picked up valuable information through those two Communities alone. This, in addition to the personal satisfaction of "meeting" a lot of people I like and enjoy "hanging around" with. Interaction is encouraged. Hopping in to drop a link and never doing anything else is frowned upon. That means getting the most out of Google+ may be a little more time-consuming than Twitter, but it's time well spent, professionally and personally. When I publicized a KDP free offering of The Fall of Onagros, Book 1 of my SAGE fantasy, people I didn't even know grabbed it because they saw it in their G+ timestream, and they took the time to comment on the offering: "Thanks!" "Looks intriguing." "Sweet!" I like that. Maybe you will, too. If you add me to your circles, let me know you followed me over from this post so I'll know to add you back. See you on Google+! I’m sure that many of you have heard by now that two of the largest publishing houses have officially merged to become Penguin Random House, according to several sources and a particularly interesting opinion piece in The New York Times. The Times article also suggested that HarperCollins has been “flirting” over a possible merger with Simon & Schuster, which would give authors and their agents only four big publishers (the other two are Hachette and Macmillan) to send manuscripts to. Did you know that these five companies publish about two-thirds of the books in the U.S.? Among the several opinion pieces I’ve read this week, the general consensus is that the merger is in response to the Goliath that is Amazon, who happened to come out on the winning side of a huge ebook price fixing lawsuit in the States recently. Let’s face it, Amazon rules the ebook world, Amazon offers great prices, and has a close (and sometimes tumultuous) relationship with consumers. But at least they’re finding ways to stay in touch with folks and respond to opinion, although not necessarily for the better. As you know, in the publishing biz, the only constant is change, and I have a feeling there will be much more to come. Exciting stuff, isn’t it? While transit security officer, Casey Holland, is dealing with an unruly pair of teenage twin girls on the M7 bus, the unthinkable happens. Street racers hit a jogger crossing an intersection on Granville Street, a major Vancouver thoroughfare. Casey tries to save the jogger’s life, but fails. Days later, a second hit-and-run on the same street outrages her, especially when witnesses insist the victims were deliberately run down. Young journalist, Danielle Carpenter, is determined to find the person who’s killing people for sport and asks for Casey’s help. 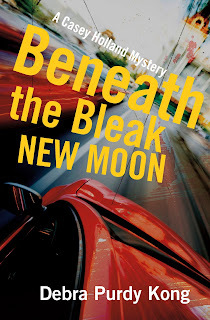 Casey’s reluctant, until the twins reveal more about street racers then they should know. Helping Danielle isn’t easy. She’s not only reckless but on a vendetta. 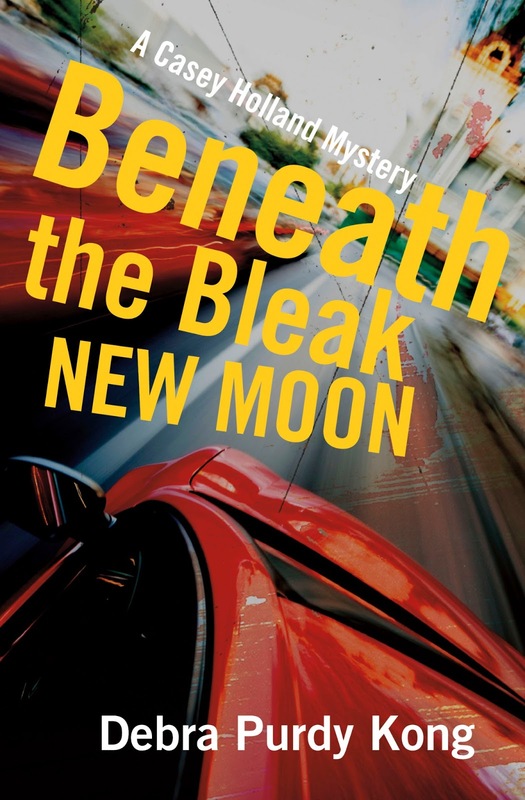 When Danielle goes missing and a racer is murdered, Casey’s compelled to step up the search for answers while trying to balance a demanding professional and personal life. The third installment in Debra Purdy Kong’s transit security mysteries takes readers on a wild ride that will leave them breathless and wanting more. Street racing has been a problematic issue for Vancouverites for quite some time. My interest in this topic began with a news story a number of years ago about a woman who was struck and killed by street racers while she was going for a walk. It took a long time for two street racers to be brought to trial and sentenced. During those years, more people were killed or injured through street racing. As I began research for this book, I soon discovered that the problem occurs in nearly every city in North America and is still happening as I write this. I’m very fortunate that none of my friends or family have been hit by street racers. I wish the same for you.